The US has exempted seven countries from economic sanctions in return for significantly cutting imports of Iranian oil. The United States will exempt Turkey, India, South Korea and four other countries from economic sanctions in return for significantly cutting imports of Iranian oil, Secretary of State Hillary Clinton said on Monday. 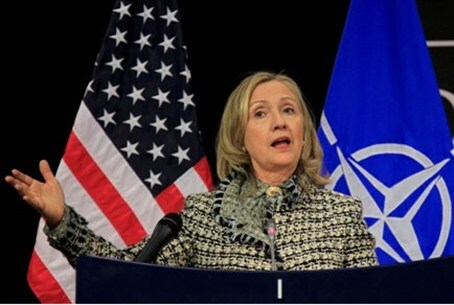 South Africa, Taiwan, Malaysia and Sri Lanka will also be exempted from the sanctions, Clinton said. Correspondents say the latest move puts pressure on China, Iran's top oil buyer, to also cut imports. US officials have said that Washington remains in talks with Beijing over the issue, AFP news agency reports. The sanctions, which the United States may impose starting June 28, aim to asphyxiate Iran's nuclear program by cutting funding from its oil industry. "By reducing Iran's oil sales, we are sending a decisive message to Iran's leaders: Until they take concrete actions to satisfy the concerns of the international community, they will continue to face increasing isolation and pressure," Clinton said in a press release. Banks and other institutions that received waivers will be given a six-month break from the threat of being cut off from the U.S. financial system under sanctions signed late last year by President Barack Obama. In March, the United States granted exceptions to Japan and 10 EU countries for significantly cutting purchases of Iranian petroleum. Further talks between Iran and six powers - Britain, the US, China, Russia, France and Germany - are due to be held in Moscow next week.